A new mathematical model of the skull could one day allow for medical examinations of the head to be made with little or even no X-raying, thus significantly reducing radiation exposure for patients. The same model can also be used to reconstruct a face on the basis of the skull, which could help to solve criminal cases. Researchers from the Cluster of Excellence CITEC, the Hochschule RheinMain (RheinMain University of Applied Sciences) and the Johannes Gutenberg-Universität Mainz (Johannes Gutenberg University Mainz) have now published their work on this model in the scientific journal PLOS ONE. Statistical models that delineate variations in faces and facial bones as well as skin thickness constitute the basis of the method presented here. In order to create this model, the researchers analyzed three-dimensional images from more than 40 skulls and 80 faces, most of which came from the Universitätsmedizin Mainz (University Clinic in Mainz). The researchers then developed their models, which are based on a number of measurement coordinates connected by triangles, covering a face or a skull with triangular mesh, like a net. The exact position of the corners of these triangles is different for each face or skull. The statistical models developed here then encode the statistical distribution of the corner points to the cranial or facial images being analyzed. 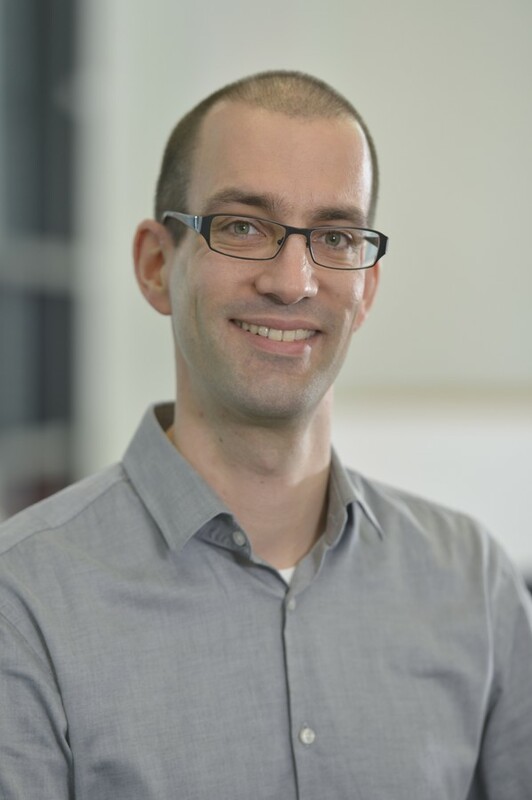 “The more data we get, the more precise the model becomes,” explains Professor Dr. Mario Botsch, who heads the “Computer Graphics and Geometry Processing” research group at the Cluster of Excellence CITEC. The researchers first wanted to develop a method that allowed for the shape of the facial skeleton to be calculated based on a maximum of one X-ray image in conjunction with a facial scan. As it turns out, now they are able to calculate the facial skeleton with just a facial scan. Thomas Gietzen, Robert Brylka, Jascha Achenbach, Katja zum Hebel, Elmar Schömer, Mario Botsch, Ulrich Schwanecke, Ralf Schulze: A method for automatic forensic facial reconstruction based on dense statistics of soft tissue thickness. PLOS ONE, https://doi.org/10.1371/journal.pone.0210257, published on 23 January 2019. 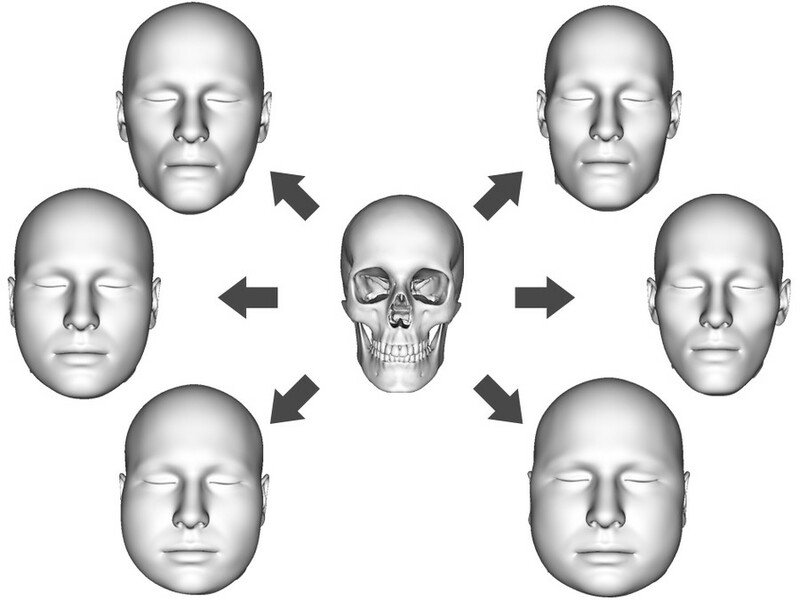 Jascha Achenbach, Robert Brylka, Thomas Gietzen, Katja zum Hebel, Elmar Schömer, Ralf Schulze, Mario Botsch, Ulrich Schwanecke: A Multilinear Model for Bidirectional Craniofacial Reconstruction. Proceedings of Eurographics Workshop on Visual Computing for Biology and Medicine (VCBM), published in September 2018.